Master Your Logical Reasoning Skills Today With Logical ReasoningTest free app. Logical Reasoning Test is very helpful applicationcontain a giant collections of Logical Reasoning, QuantitativeAptitude and Verbal Ability questions which is asked in manycompetitive exams. This app is specially designed for who want tocrack bank exams and other competitive exams. With a largecollections of question which is asked in previous years papers,this Logical Reasoning Test Free app will help you achieve yourgoal easier. Features This application has huge collection oflogical reasoning aptitude puzzles with following feature: • 4 in1, now you can learn Logical Reasoning, Quantitative Aptitude,Verbal Ability and Riddle in only 1 app. • 100% offline, you don'tneed to download anything else to use this app. • 100% free, youdon't need to buy or unlock anything else to use this app. • Morethan 100 topics. • 5000+ Logical Reasoning, Quantitative Aptitudeand Verbal Ability questions. • Answers with detailed explanations.• Rich question bank, the more you learn, the more knowledge youwill have. • Friendly UI. • Ranking system help you to know yourlevel of intelligence. • Free riddle to play with your friend. Whatis Logical Reasoning: Logical reasoning Test plays a major role inall the competitive exams, bank exams and other entrance test ofvarious institutions.Because logical reasoning reveals a person’sability to analysis and to make the decision based on the givenconditions.In our application, the available features make you tobe the best in problem solving skills. This app cover some of mostimportant topic of Logical Reasoning like: Letter Series, MatchingDefinitions, Analyzing Arguments, Cause and Effect, LogicalDeduction, Artificial Language, Number Series... What isQuantitative Aptitude: The aptitude skills are mandatory to beplaced in reputed companies. And also the aptitude test is theprimary stage of short listing the candidates for all kinds ofrecruitments in both public and private sectors. Most of us peeredat this aptitude section with difficulties. This app cover some ofmost important topic of Quantitative Aptitude like: Numbers, Timeand Distance, Probability, Profit and Loss, Simple Interest,Fractions, Area and Volume... What is Verbal Ability: Verbalreasoning test is an important part of English proficiency testincluded in verbal ability questions answers of English aptitudefor IBPS, SSC, SBI Bank Clerk PO, LIC IT officer, GRE, GATE, FMS,MBA Interview, CAT entrance exam, gmat online test & othercompetitive exams. This app cover some of most important topic ofVerbal Ability like: Spell Check, Sentence Correction, VerbalAnalogies, Idioms and Phrases, Spotting Errors.... Our team hopethis app will help you improve your logical skills and with thatsuccess in your career. Download the Logical Reasoning Test forfree now and start improving your logic today! Improve your reading and writing skills with Essay for IELTS,TOEFL.This is a very helpful application contain 400 essays ofdifferent subjects. You can read to improve your English wheneveryou have spare time. This app is suitable for all IELTS , TOEFLlearner user. Features: • 400+ Essay English • 50+ English storiesto improve your English reading skills. • Practice to write yourown essay with random topic to prepare for exam. • 100% free &offline • Friendly UI. Support for: • IELTS test • TOEFL test •TOEIC test • GRE test • GMAT test • SAT test • CAT test • SSC test• CGL test Our team hope this app will help you improve your IELTSskills and with that success in your career. Trademark disclaimer:IELTS is a registered trademark of University of Cambridge ESOL,the British Council, and IDP Education Australia. This mobile appis not endorsed or approved by the University of Cambridge ESOL,the British Council, and IDP Education Australia. 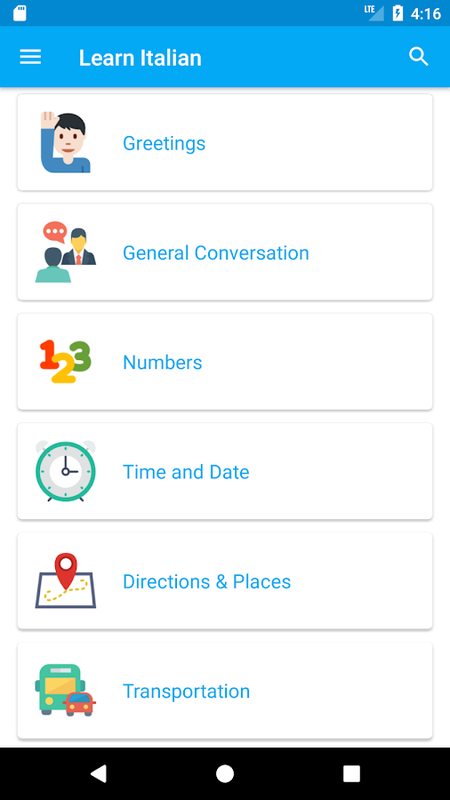 By using thismobile app, you agree that you fully understand that this app isnot affiliated, approved or endorsed by University of CambridgeESOL, the British Council, or IDP Education Australia. 4000++ IELTS Vocabulary Flashcard Are Now In Your Phone, DownloadAnd Study Now!Tired of bringing your IELTS Flashcards everywhere?Now you can have 4000++ Vocabulary Cards in your phone for free.Just download and start learning today!Vocabulary Flashcard forIELTS using our unique algorithm to determine which words youshould learn and review to help you learn IELTS faster and remembervocabulary more efficient.------------The International EnglishLanguage Testing System (IELTS), is an international standardisedtest of English language proficiency for non-native Englishlanguage speakers. Having a rich knowledge about IELTS Vocabularyis a major advantage in the IELTS test and will certainly help youget a highest score. It will also be beneficial in your academic,personal and professional life. This Vocabulary Card for IELTS freeapp will help you achieve your goal easier.This vocabulary appcontain english words for ielts learner. This application will helpyou to practice and test your english vocabulary. Improve you ieltsscore in offline exam. Many features like pronunciation word forstudy, skills band, search for words, questions games. Learn tosupport your tests and also for preparation all other kind ofenglish test like: gre, toeic, toefl, act, sat, gmat. Improveknowledge of your english dictionary. App english vocabularycontain fun word game features to study, this application has testand practice for free with offline ielts flashcards, you can playwith english dictionary and vocabulary. Downloadnow!------------How to use: • Swipe left or right to change cards.• Swipe left for known cards. • Swipe right for unknown cards. •Tap card to show word's pronunciation and definition. • Level upcards by playing game. • In game mode: tap correct word beforewater running out. • Collect as many cards as you can, check youcollection anywhere.------------The more you keep using this app,the more your brain will be train to remember words easily. Enjoyit!Our team hope this app will help you improve your IELTS skillsand with that success in your career.Download the Learn IELTSVocabulary Cards now and start improving your IELTS vocabularytoday!Keywords: ielts vocabulary, ielts card, learn ielts, learnenglish, english vocabulary------------Trademark disclaimer: IELTSis a registered trademark of University of Cambridge ESOL, theBritish Council, and IDP Education Australia. This mobile app isnot endorsed or approved by the University of Cambridge ESOL, theBritish Council, and IDP Education Australia. By using this mobileapp, you agree that you fully understand that this app is notaffiliated, approved or endorsed by University of Cambridge ESOL,the British Council, or IDP Education Australia. Parla X is an app for learning languages fast. Join us and learnlanguages for free! 29 hours with Parla X are as effective asstudying Languages for one semester at university. Parla X is freeand will always be free. It’s the fastest way of learninglanguages. We won’t make you listen to boring lectures. Learning isthrough play, because it’s more fun and effective (scientificallyproved) - just do short exercises and answer questions to maintainyour knowledge every day. Start learning languages today!